Oh, no! The Vegg currently doesn't have any offers on Vegan Cuts. However, check out our monthly boxes for vegan items delivered right to your door! How was The Vegg hatched? It started a few years ago, when Rocky Shepheard, a long-time vegan and animal activist from State College, PA, read an article — on April 1, 2006 — about a new vegan fried egg available in the UK. He was very disappointed to learn it was an April Fool's joke and decided to make his own. 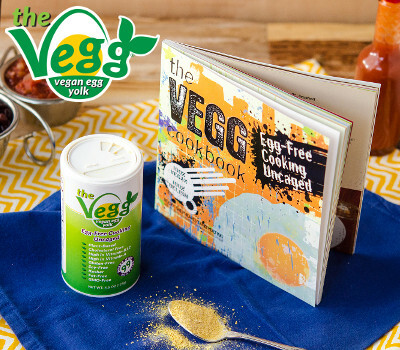 With no formal culinary training but lots of determination, it took him two years to develop the yolk version of The Vegg that's available now. The next Vegg product will be a vegan egg patty for breakfast sandwiches, and then, in about a year or two, he'll be ready to launch the world's first vegan fried egg. Rocky donates 10% of his sales to Compassion Over Killing. Follow The Vegg and get notified when they add new offers to Vegan Cuts.